The world today seems to be embracing a new age of photography. DSLRs have not only become more common and popular than they ever were, but are now also something easily accessible by beginners and photographing enthusiasts – and aren’t just limited to the professionals. Many now want to step up their game of photography to a whole different level. Photography is no longer confined to taking pictures from your cell phones. People now want to invest in high quality cameras in the market. The best types being the digital single lens reflex camera or commonly known as DSLRs. When it comes to buying DSLR cameras, one can easily get confused since there are so many options to choose from. Choosing the right DSLR is important because sometimes even the high priced cameras may not give out perfect shots. That being said, we’ll be reviewing what seem to be the five best DSLR cameras under 30,000 on the market currently. These will be perfect options for beginners who are new to the DSLR world as well as professionals looking for a good camera under the same budget. What Should You Look for in a DSLR? There are various things you need to keep in mind. First of all, you need to choose a camera on the basis of your needs. For instance, if you are a professional, you would want to go for something which can cater to your professional needs – a DSLR that can take vivid and beautiful landscape and outdoor shots. You also need to do some research before purchasing a DSLR. Sometimes, even the best and the most expensive of DSLRs cannot give you the type of shots you may be looking for. The price or popularity doesn’t always define the quality of the pictures or the camera. Prioritizing over the features is important to fulfill your needs. With that said, let’s take a look at the five best DSLR cameras under 30,000. This is one of the best DSLRs you can find in this range. Nikon brings you the spectacular model D5200, perfect for both beginners and professionals. The quality of the pictures is what distinguishes this camera from the others in this range. It can click breathtaking shots even in low light and indoors. This beast is just what many photographers dream of. The flip out screen is a huge plus. You will love whatever you click. The performance and flexibility it offers makes it easily comparable to some of the more expensive DSLRs out there. It also fits well in your budget. It has a powerful processor like EXPEED 3 which enhances your experience of taking photographs. The 24.1MP DX – format sensor lets you take the perfect pictures even in low light and indoors. The 39 point AFsystem and it’s huge EN-EL 14 rechargeable Li-on battery is what makes it a perfect buy. A camera which buyers are proud to own. This DSLR is a perfect companion for the photographer freak, and is priced very reasonably. The image quality is splendid. It gives even the most simplest of shots a professional feel. The customers who have purchased this camera say that the image quality is comparable to higher end Nikon cameras. 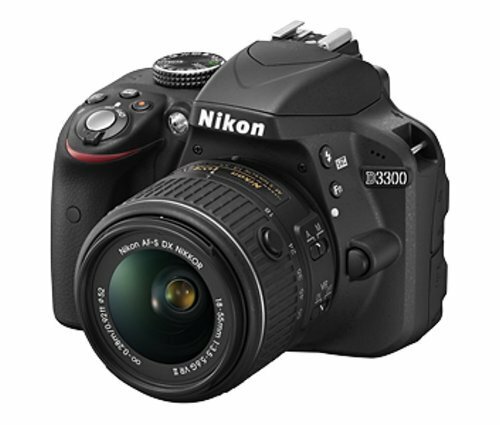 Nikon D3300 has a 24.2MP camera with a CMOS sensor for taking spectacular photographs. Perfect for capturing detailed and clear photographs, both indoors and outdoors. It is packed with a faster EXPEED 4 processor engine along with an 11 point focus system which is awesome for this range. The EN-EL14a rechargeable Li-on battery gives you an overall power packed performance. 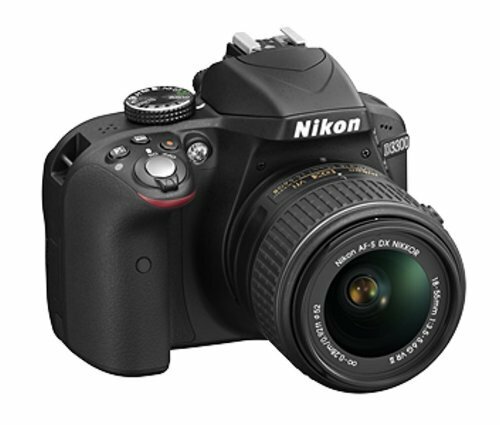 Another beauty from Nikon, this DSLR is perfect for newbies who want to step into the world of DSLRs. Nikon D3200 is a decent buy for beginners. This camera is known for taking vivid pictures, perfect for outdoor shots. The manual mode is very much advisable for taking outstanding vivid pictures. It’s sturdy built feels good in your hands. Although the control and options are limited but the decent price negates the sharp image quality. 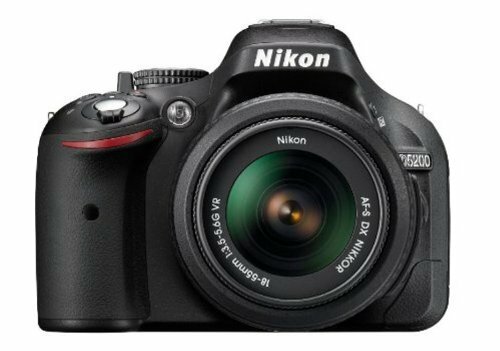 Nikon D3200 having a 24.2MP CMOS image sensor and EXPEED 3 processor makes every beginner’s photography experience pleasant and easy. The EN-EL14 rechargeable Li-on battery and the wide ISO sensitivity range does not disappoint. All said and done, we totally think that if you have the budget, you may want to go for the Nikon D5300, which is one of the best DSLR cameras in India. Canon never fails to deliver when it comes to DSLR cameras. 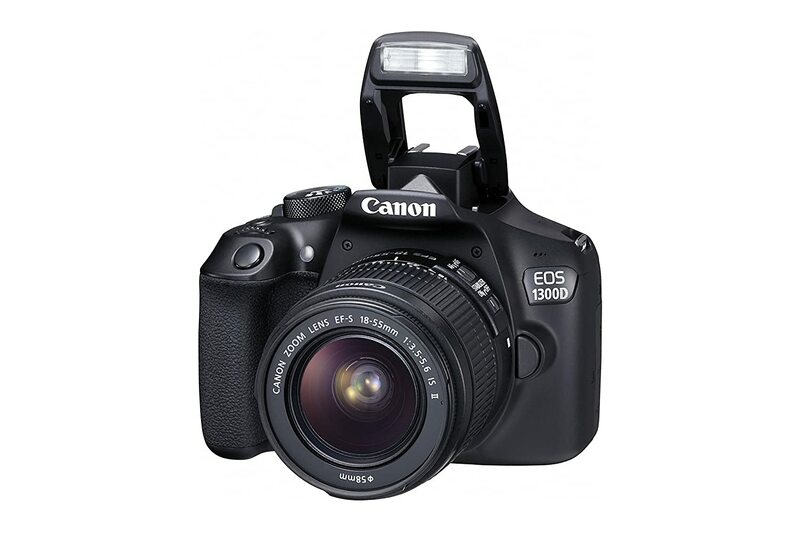 The EOS 1200D is one of the more economical offerings by the brand. It’s just perfect for beginners and casual photography. Canon EOS 1200D is known as the DSLR for beginners by customers all over. Its lightweight body makes it easier to carry. It comes with a 18-55mm and 55-250mm lens. The price in no way compromises on the image quality. However, if you’re looking for a camera for professional use, this camera is not the best fit for you. Having an 18MP CMOS (APS-C) image sensor, the image quality does not disappoint. It is also packed with DIGIC 4 image processor and has an amazing Li-on LP-E10 battery. But while it hits the spot perfectly for beginners, there are better options for the professionals – even in this price range. However, for anyone that can afford to spend considerably more, the Canon EOS 750D is going to be a much better option, and it’s one of the best DSLRs priced right under 50,000. 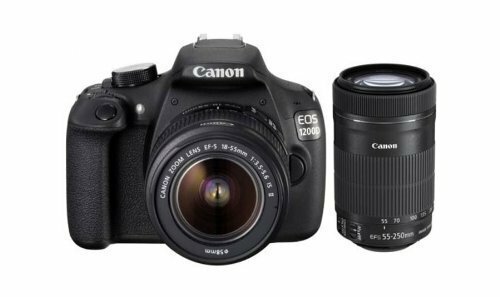 Canon EOS 1300D is a perfect product in this price range. It features an APS-C-sized sensor and some other interesting features. Another DSLR that’s highly recommended for beginners, but not so much for the professionals. What’s special about it is that it supports WiFi and NFC, which makes it really very easy to transfer files. Its image quality is very good for the price and it manages to take decent shots. Canon EOS 1300D having an 18MP camera with APS-C CMOS sensor is fairly decent resolution for casual photography. It is packed with Digic 7 processor, which is not the latest processor but performs fairly good all the same. You can easily choose the best DSLR camera under 30000 by simply figuring out which one of these five products fit the needs perfectly for you. Comparing the features of these products with what you’re looking for will probably help simplify things and choose the right option for your needs. Nikon D3200 Review – Designed for Beginners! IndianProductGuru reviews many different types of products being sold in India, helping you make an informed decision every time you purchase a product online. Indian Product Guru Copyright © 2019.